"Organising the collaboration between startups and traditional players." 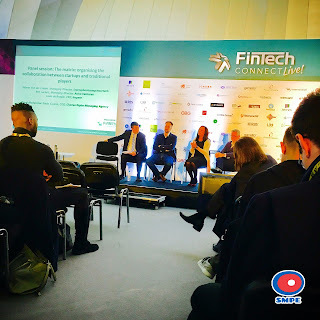 Our humble opinion: it's one of the most important panel sessions of the FinTech CONNECT Live! conference taking place in London now. Why is it so important? The point is a chain of new business connections. Let's take e.g. Apple Pay® and TfL business case into account. Enabling mobile contactless payments by the Transport for London implied i.a. increase of sales of mobile insurances with bank accounts due to the fact iPhone® became a real everyday-use payment tool in London. A lot of exciting work in front of Warsaw! Smart cities can create future and it can cost these days less than other cities think.